In early November, the City of Guttenberg, the Clayton County Energy District’s (CCED) and local landlord’s Isaac Eulberg and Gary Willman completed their lights and water direct install kick off the project. Consistent with the energy district’s value, “to build community by keeping energy local, clean and fair,” the goal of the project was to lower energy costs for a targeted group of low to moderate income households while helping the city to more efficient, cleaner energy use. 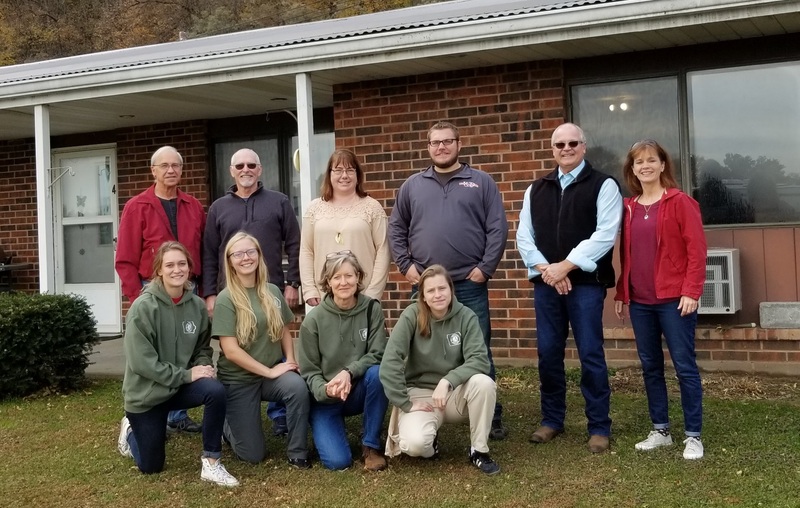 Using the service of the Decorah-based Green Iowa AmeriCorps team the “direct install blitz” was completed in 36 apartments owned by the two Guttenberg landlords. Each unit received an LED lighting transition, in addition to water aerator installations. Specifically, in most units, high-efficiency sink and shower aerators were installed and (10) 60-watt equivalent – 9 watt LED light bulbs were installed, replacing energy-hogging incandescent bulbs. Collectively, the project resulted in the annual reduction of 16,149-kilowatt hours and a carbon footprint of 18.0338 metric tons/year. Creating an energy savings of $2098 per year. On the water side, 50,303 gallons of water/year will not be consumed, reducing their carbon footprint by 15.0975 metric tons and delivering about a $1758 annual energy savings. Picture Back Row: Mayor Bill Frommelt, CCED Board Chair Jim Osterhaus, City Manager Denise Frommelt, Isaac Eulberg, Gary Willman & CCED Program Manager Joleen Jansen.